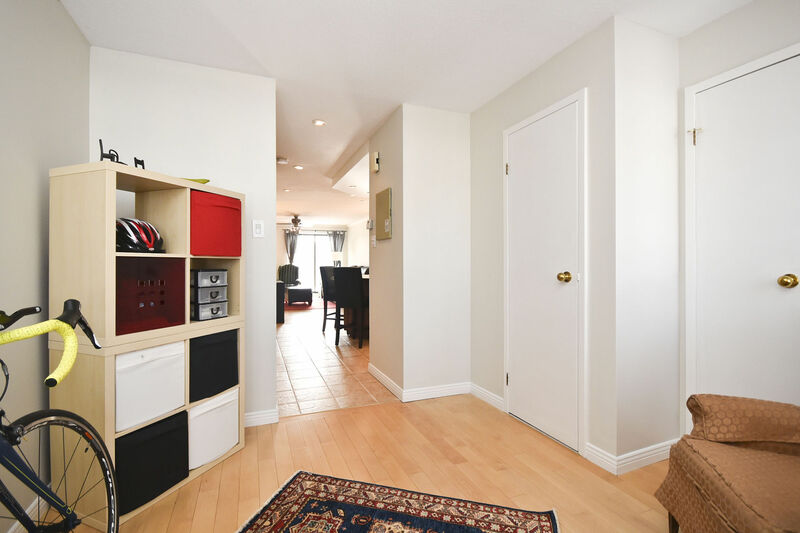 Welcome to this lovely condo 2 storey apartment. 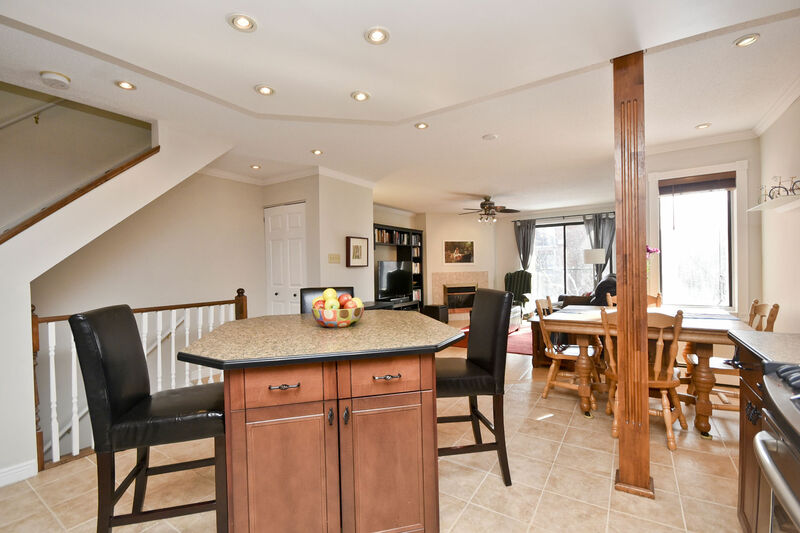 This home is located in desirable manor Park. 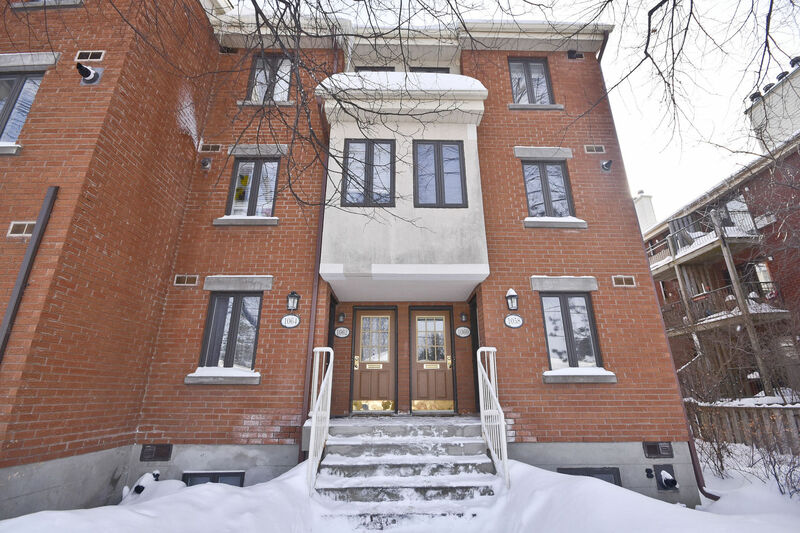 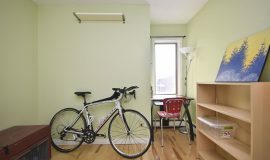 Here you are just 15 minutes by car or 25 minutes by bus to Parliament Hill and the downtown core. 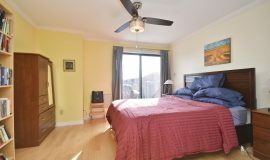 You’re also minutes away to to parks, schools and public transportation. 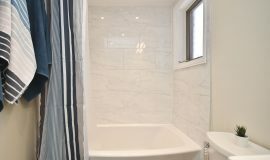 You’ll also be close to the upscale shops and restaurants that are making New Edinburgh and Lindenlea so popular. 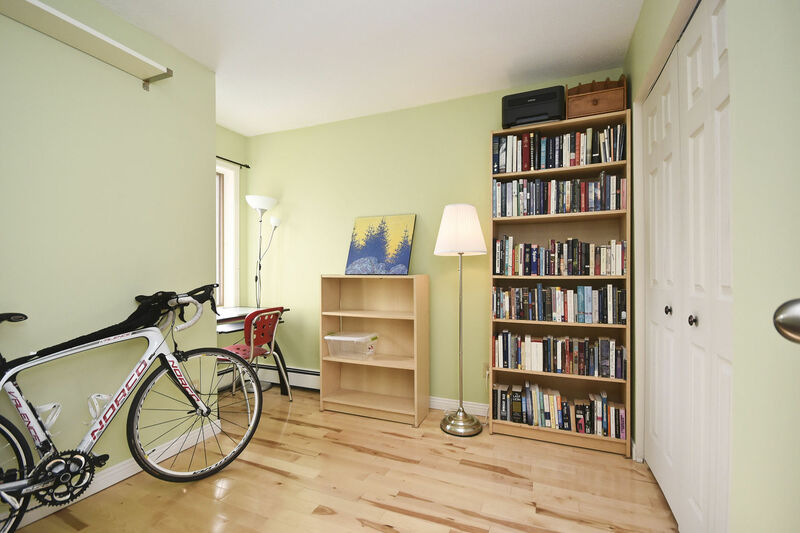 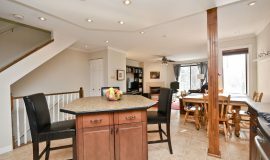 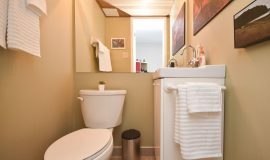 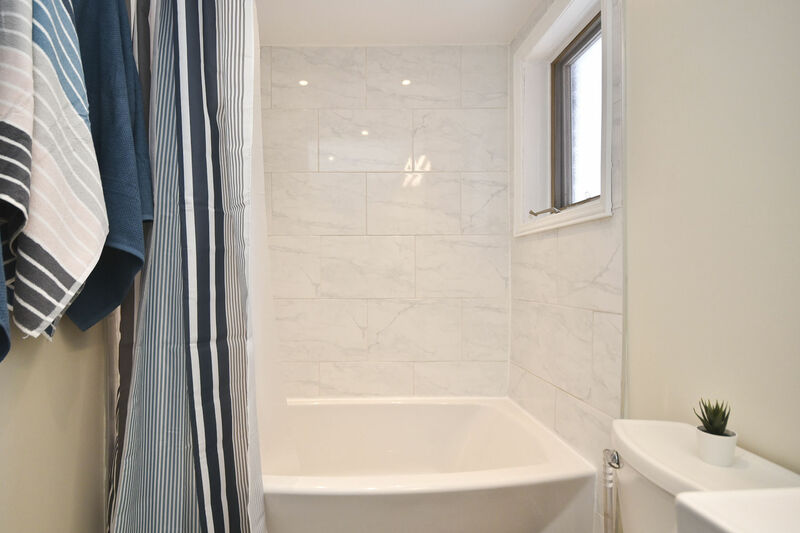 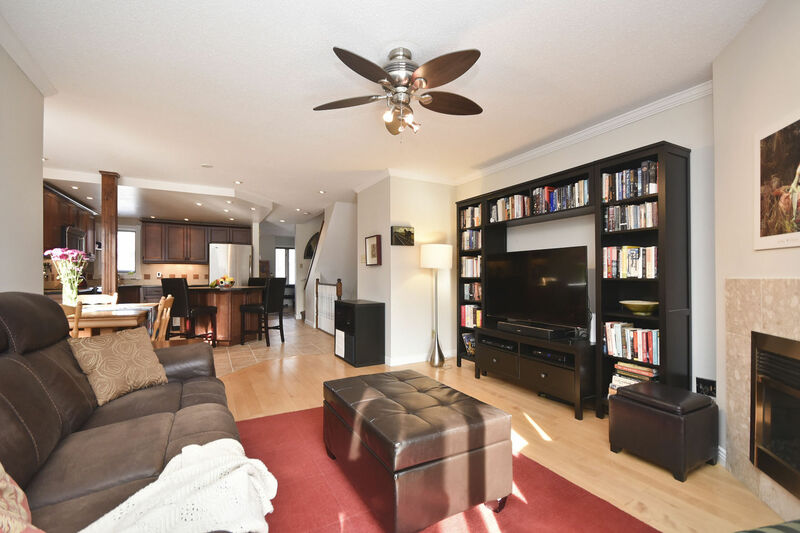 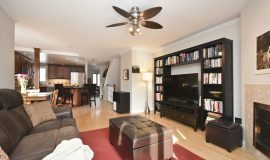 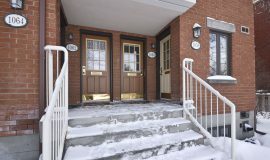 This upper level condo features mostly hardwood floors throughout as well as a renovated kitchen, power room and main bathroom. 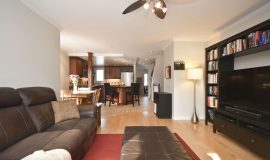 The living room offers plenty of space and is highlighted by an electric fireplace that features a blower fan for extra heat and comfort. 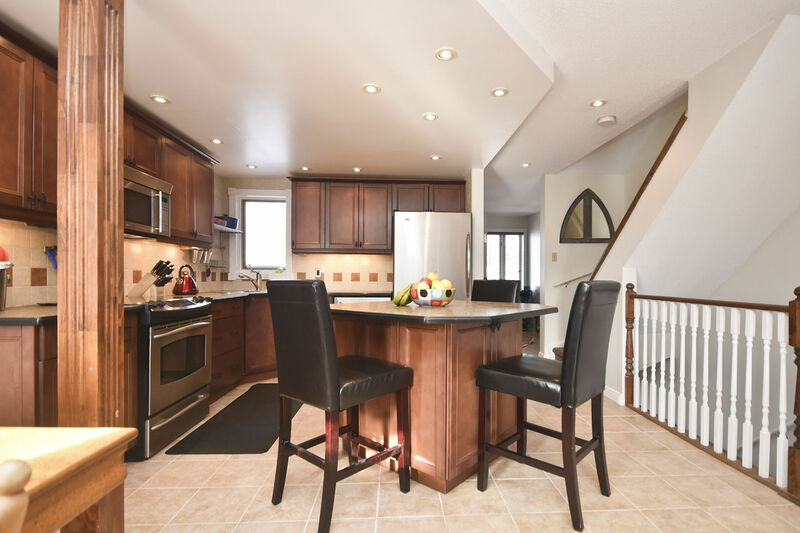 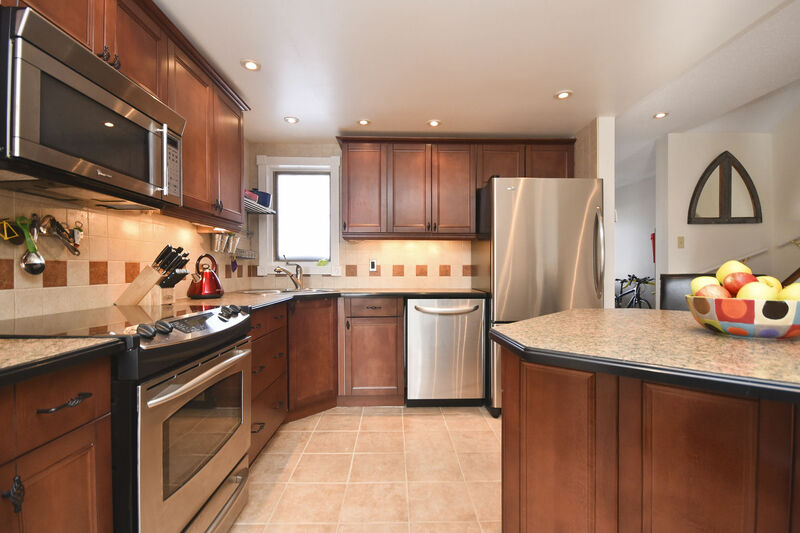 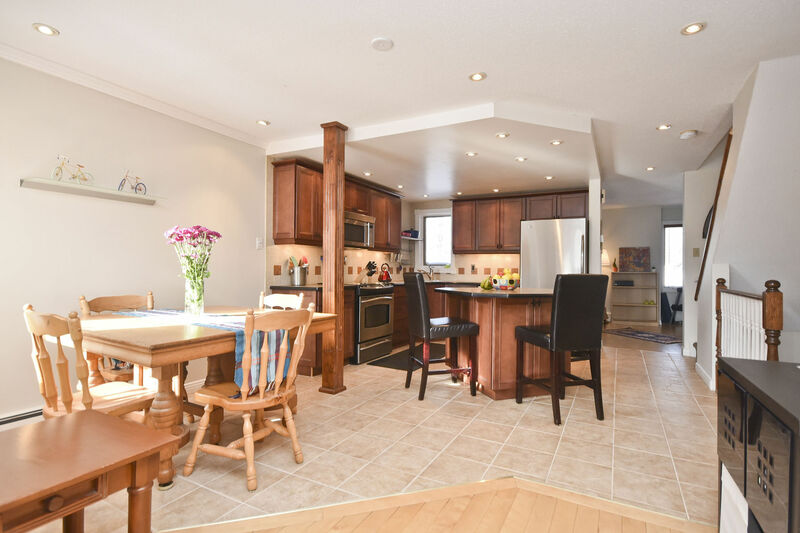 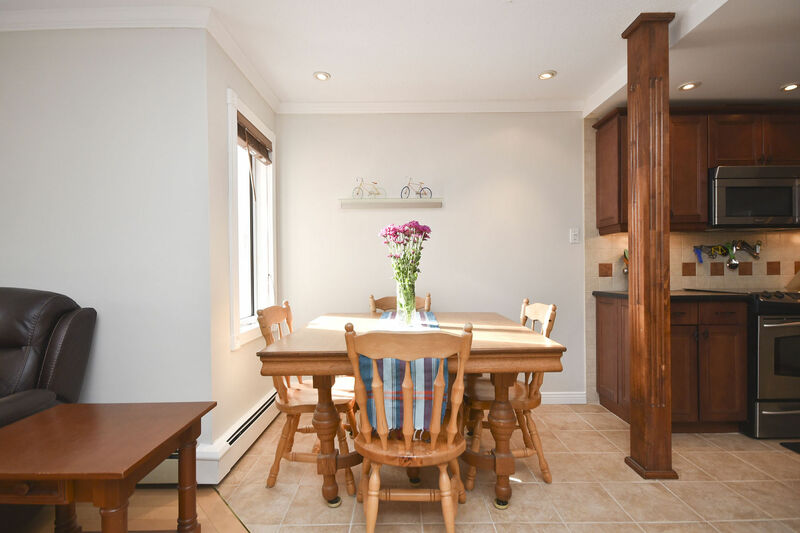 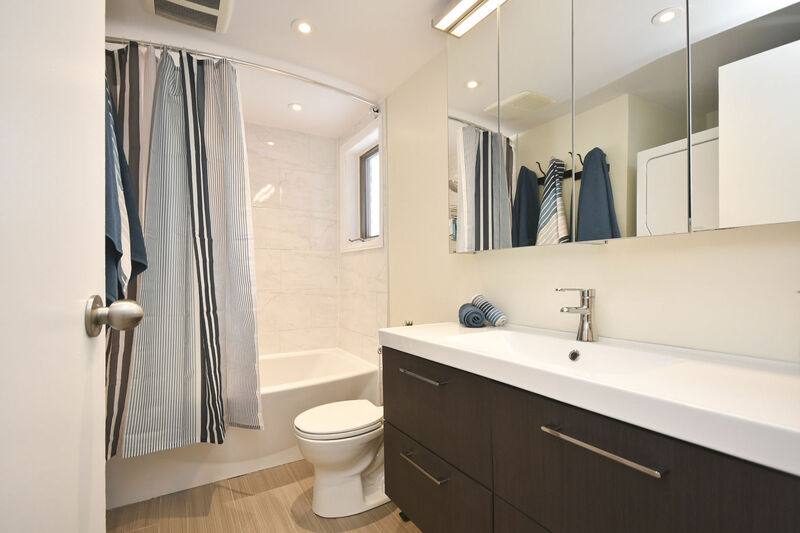 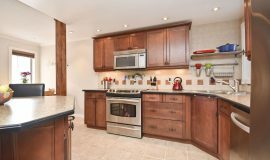 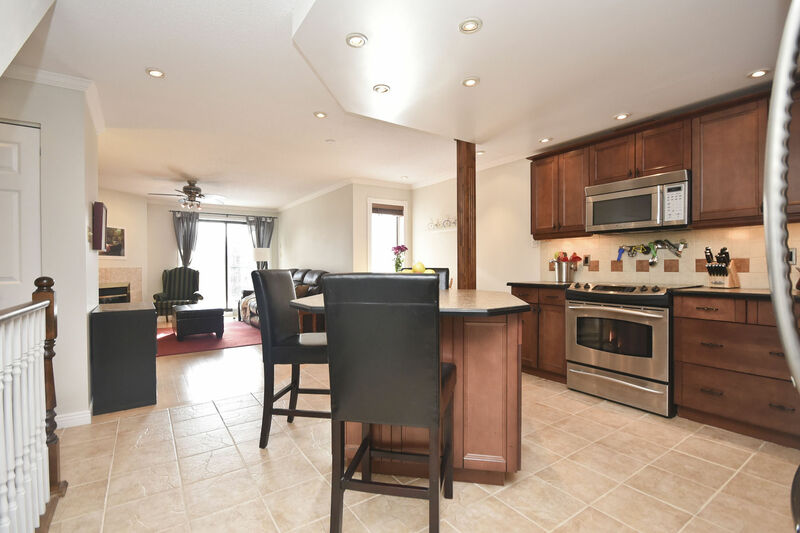 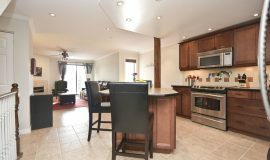 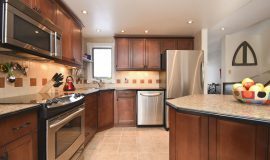 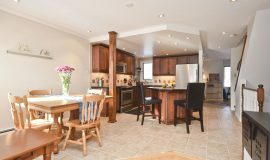 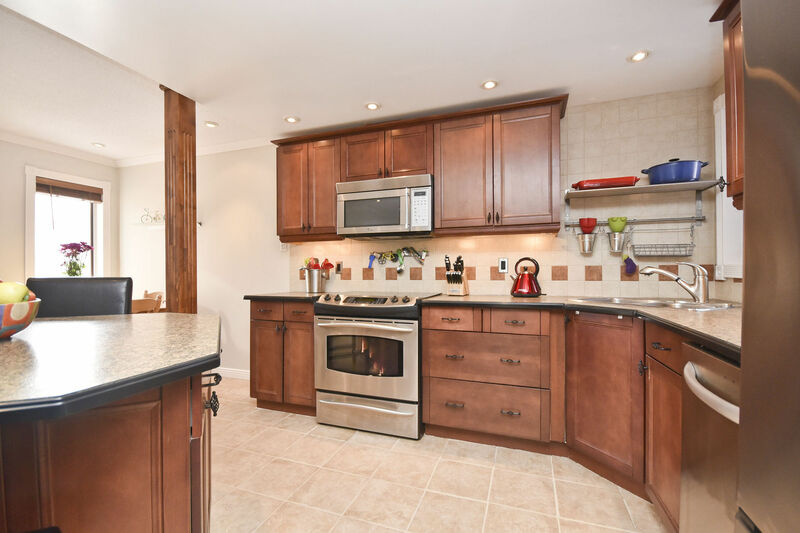 The kitchen has been renovated with features such as pot lighting, large center island featuring tons of storage space under the counter top, dual stainless steel sink, built-in microwave oven/hood-fan and plenty of counter and cupboard space too. 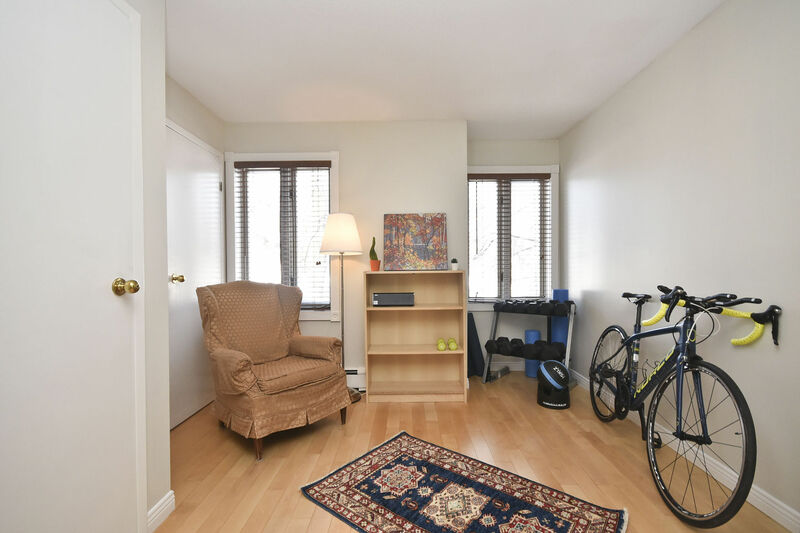 The main level den is perfect as a TV room, office of workout space. 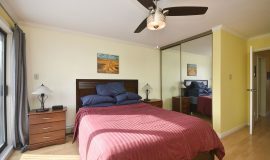 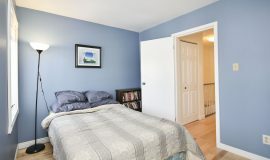 Upstairs are 3 well sized bedroom and a fully renovated bathroom. 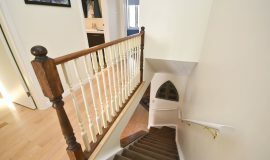 The master features a private balcony! 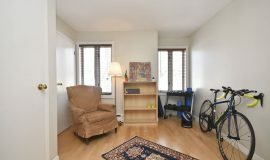 Location, updates and more! 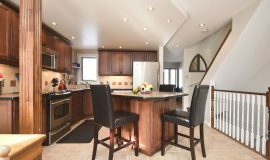 Make 1060 Blasdell Ave. your next home! 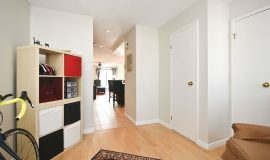 Hardwood floors grace most of this level condo. 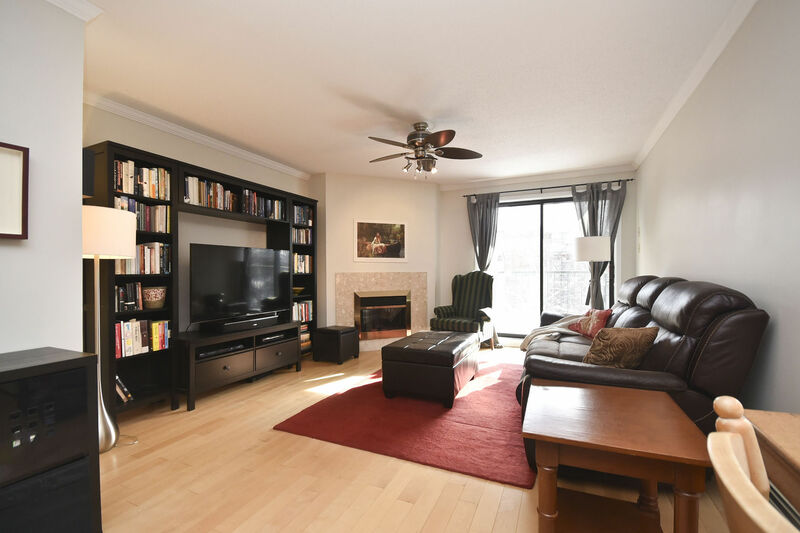 The living room features plenty of space for your furnishing needs. 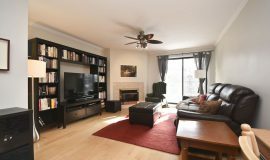 It is highlighted by a safe and efficient electric fireplace that can be used to provide heat of just to set atmosphere. 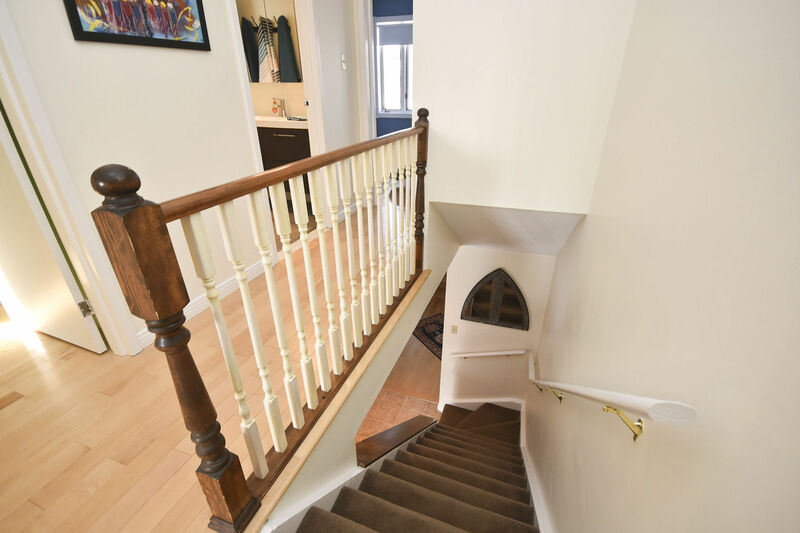 There’s a balcony right off the living room. 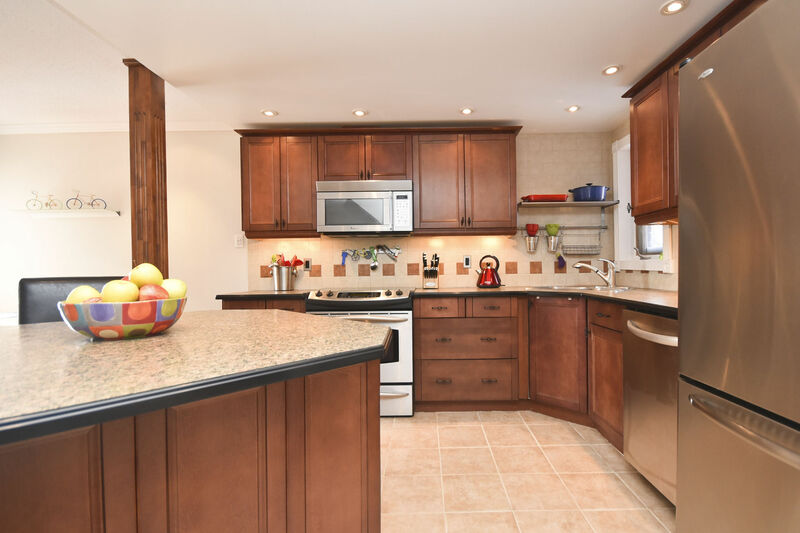 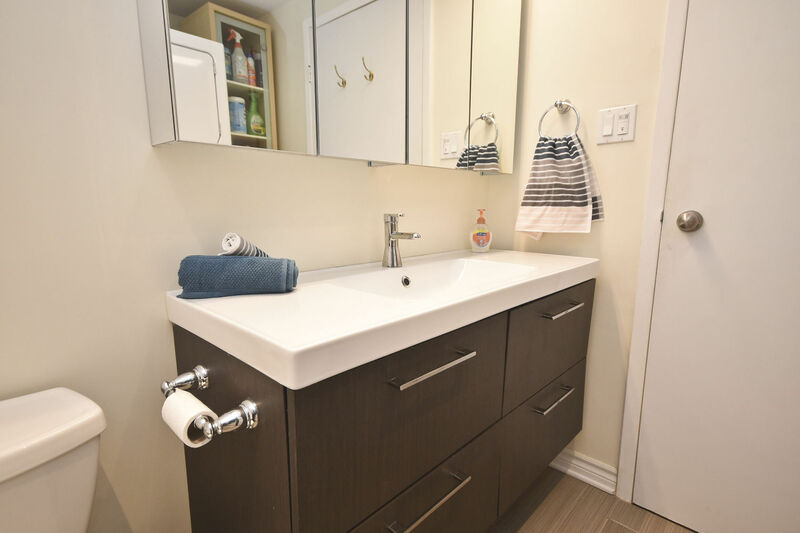 The kitchen has been renovated and features ceramic floors, lots of cabinet and counter space, pot and undermount lighting, large center island with abundant storage, built-in microwave and stainless steel appliances. 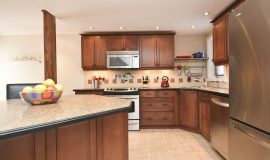 There’s lots of counter and cupboard space. 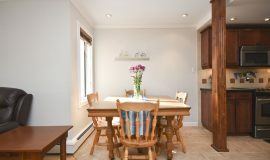 The dining room is cozy for more intimate gathering of friends and family. 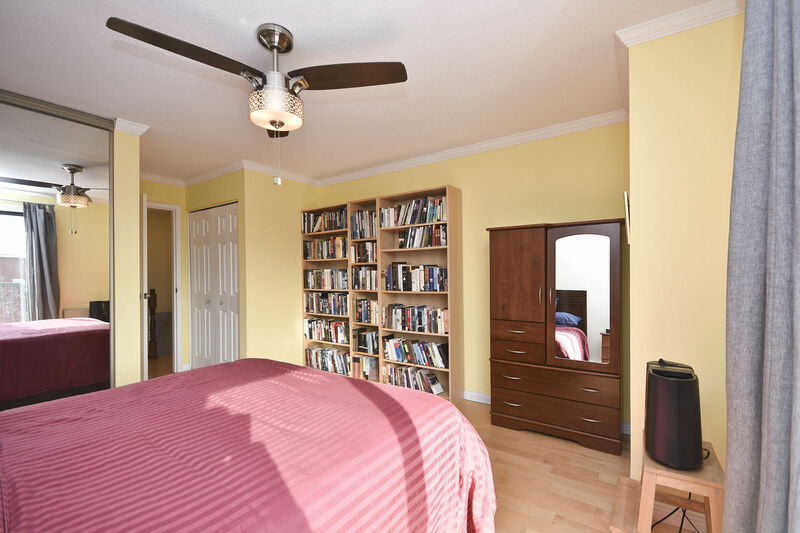 The den is an all purpose room. 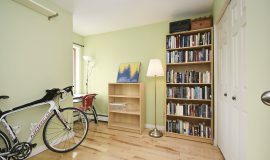 Set up your home theatre, office or workout room. 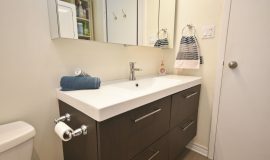 The powder room has also been renovated and is perfect for this level. 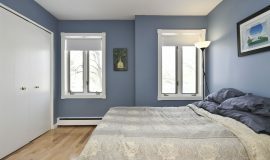 Here you’ll find the mater bedroom which features hardwood floors. 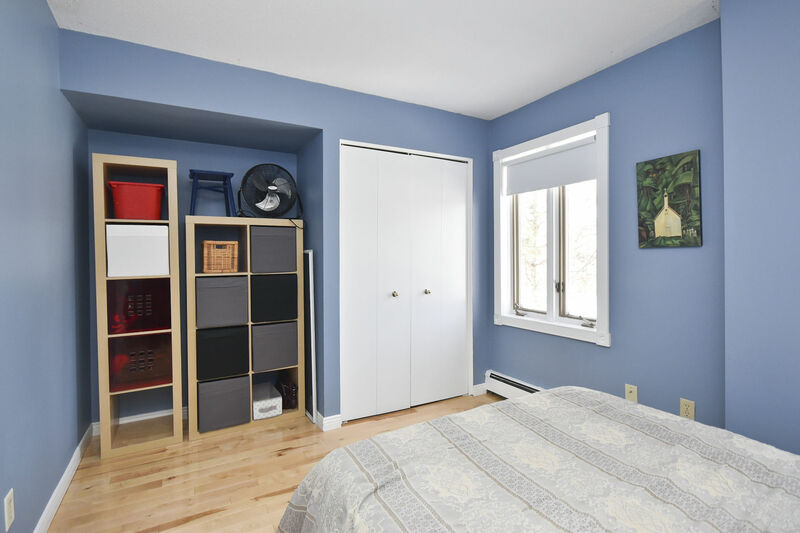 This bedroom also features a private balcony and his and her closets which gives you ample storage space. 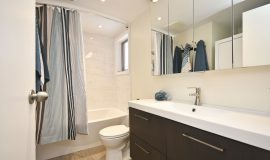 The main bathroom has also been completely renovated. 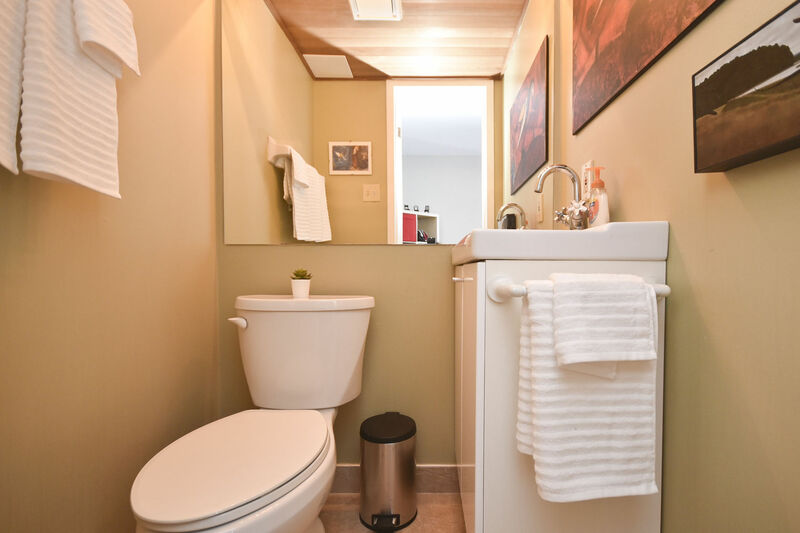 It’s all new including pot lighting and a huge mirrored medicine cabinet. 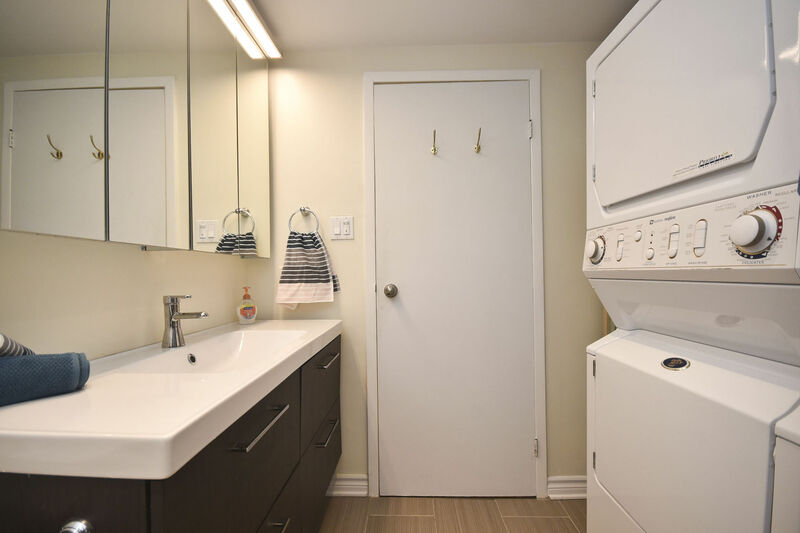 You’ll also find in unit laundry facilities in this space.. No running to laundromats or parents home to get your clothes clean. 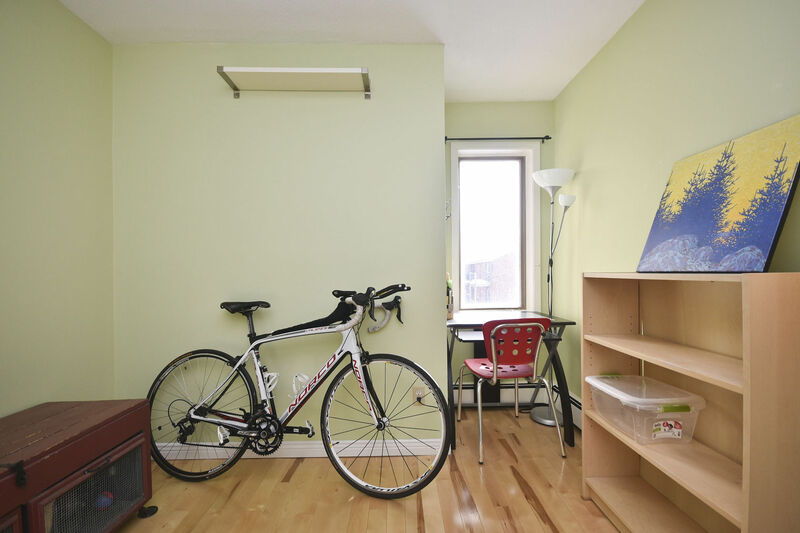 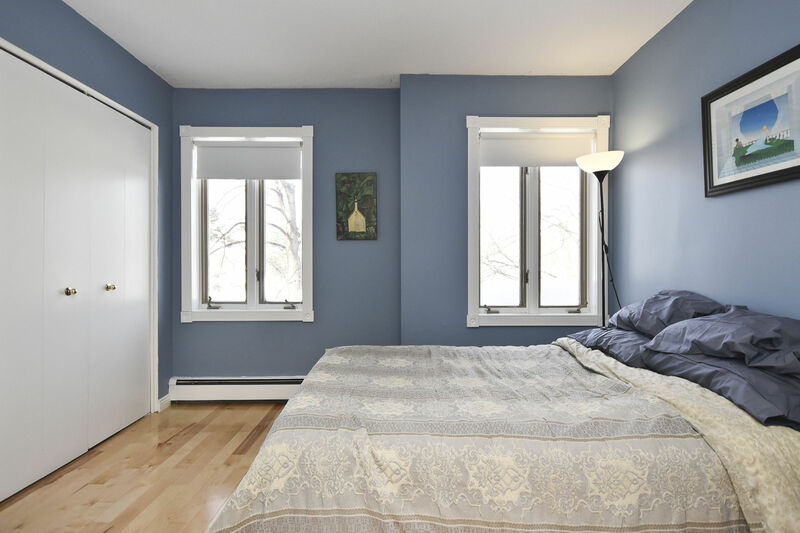 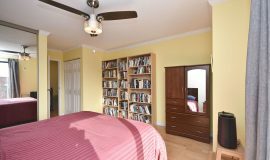 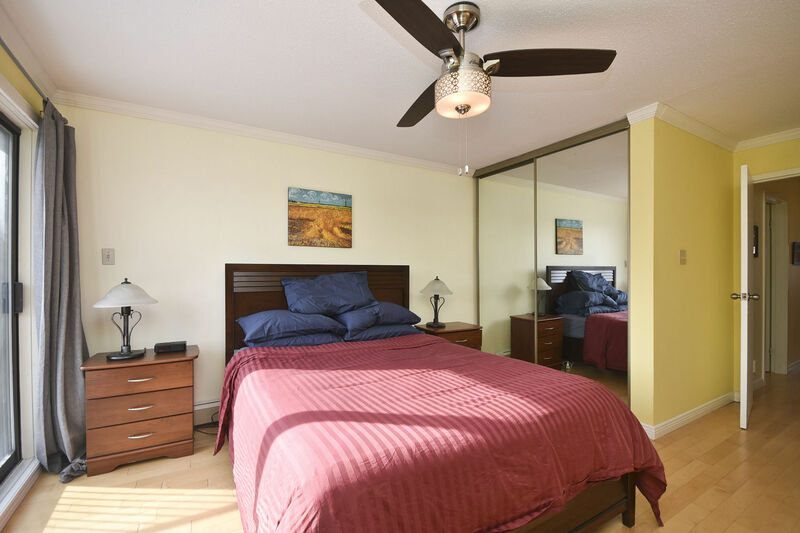 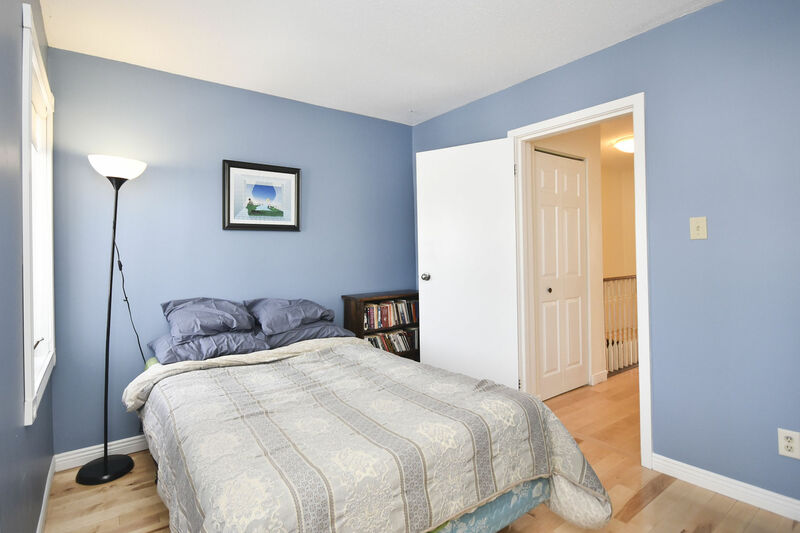 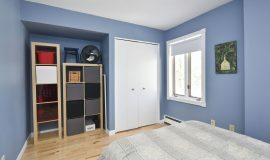 Both secondary bedrooms feature hardwood floors and are great sizes for kids or guests. 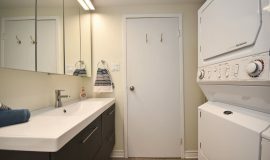 There’s a storage area on this level. 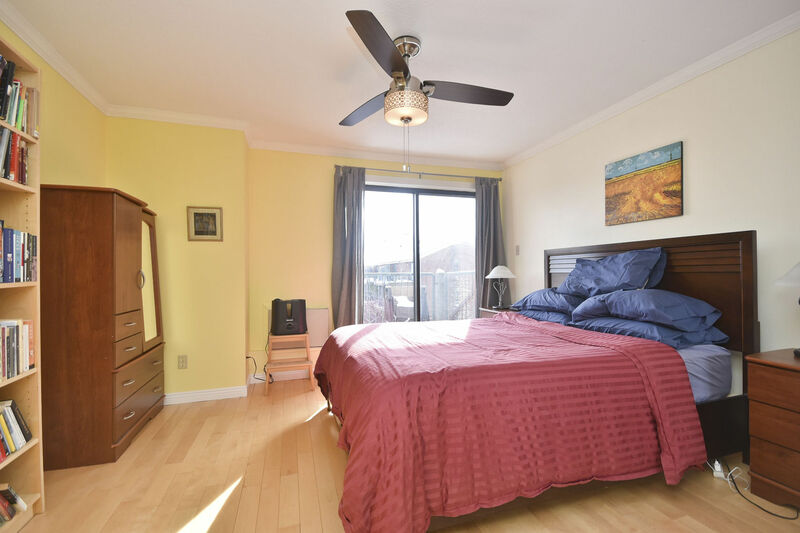 A great location close to parks, schools, public transportation and more. 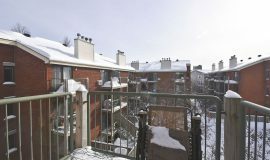 There’s plenty of shopping here and in the adjoining neighbourhoods. 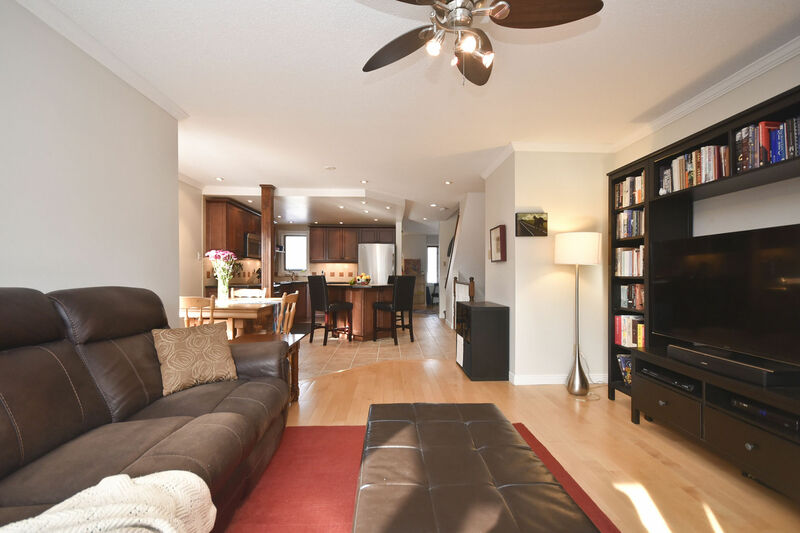 New Edinburgh and Lindenlea are just minutes away by bus or car. 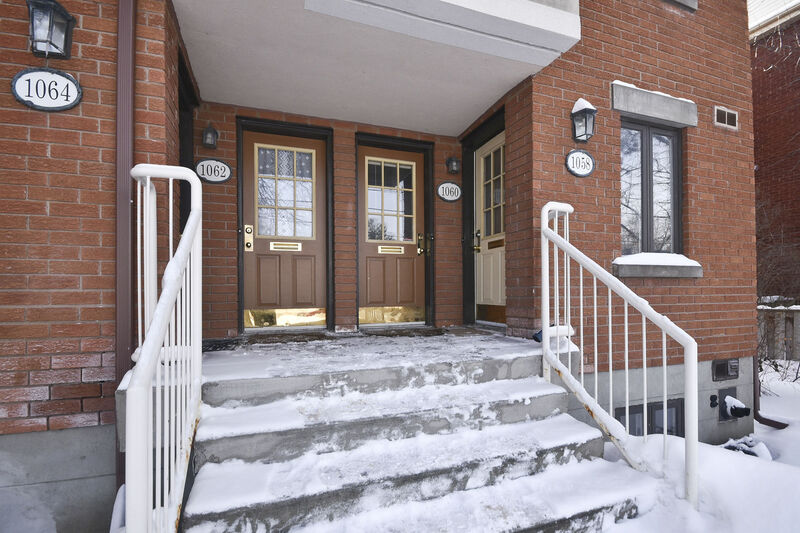 These adjoining neighbourhoods feature many new and popular shops and restaurants. And you don’t have to pay the high prices of housing in those neighbourhoods. 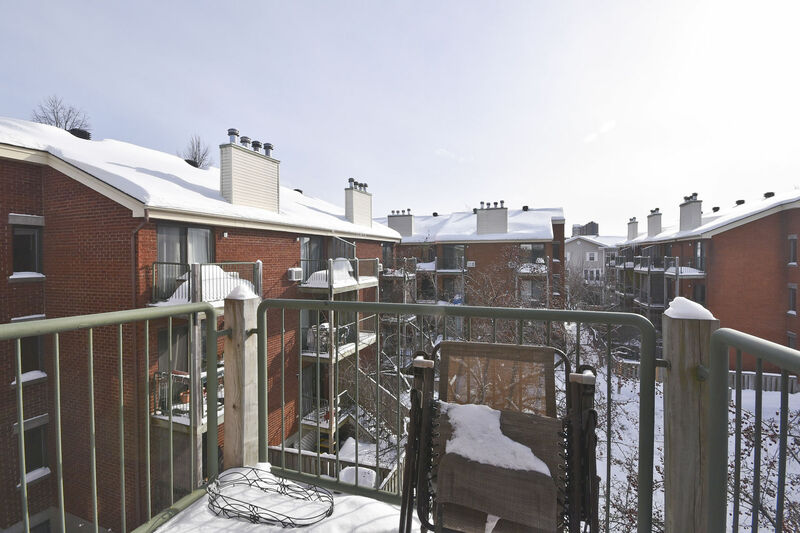 For a full shopping experience, St. Laurent Shopping Center is 15 minutes by bus and 10 minutes by car. 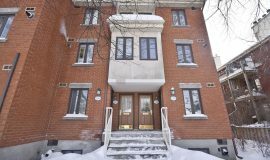 Style: 2 storey condo apartment Year built: 1989 approx.